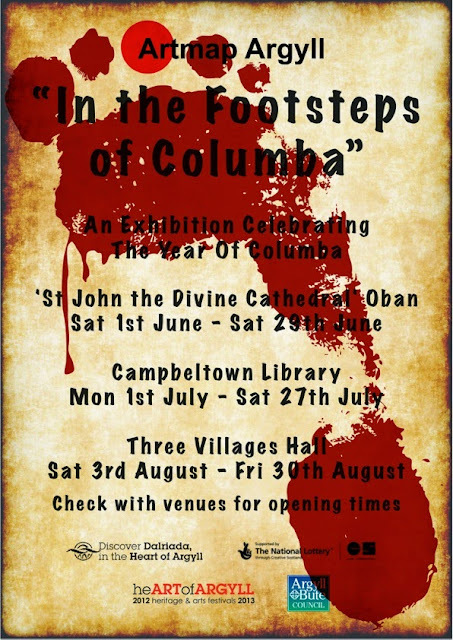 A new exhibition to celebrate the Year of Iona 2013, put together by Artmap Argyll, this fascinating exhibition, inspired by the idea of 'Pilgrimage', gives you much to consider and contemplate. Filled with unusual concepts and talented work by 23 artists (including myself), this exhibition is well worth a visit. Catch it at The Cathedral of St. John the Divine in Oban during June; at Campbeltown library in July, and in the Three Villages Hall in Arrochar for August. Additional venues may be announced later. 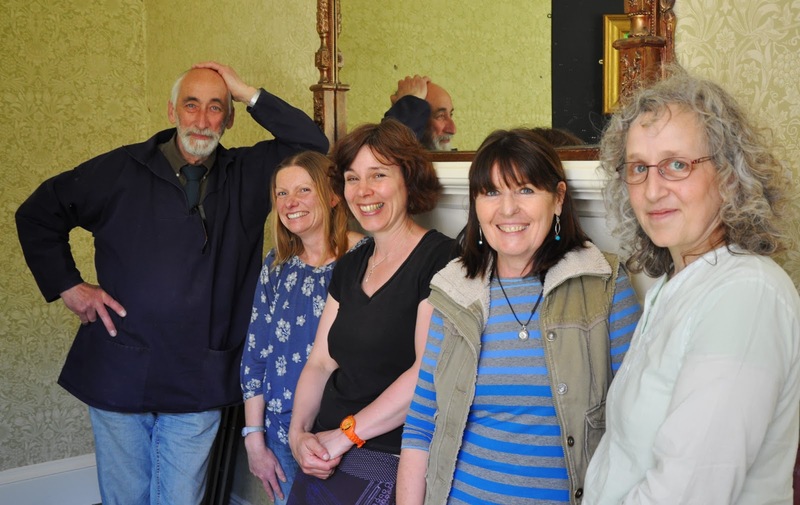 Posing artfully at the exhibition preview in Bishopton House, Christ Church, Lochgilphead are (left to right) LOUISE OPPENHEIMER (Textiles; Drawing & Painting); MELANIE CHMIELEWSKA (Sculpture); MARGARET KER (Ceramics & Mosaic; Drawing & Painting; Printmaking); ALEXANDER HAMILTON (Photography; Sculpture; Wood; Mixed Media); GEORGE JOHN STEWART (Design; Drawing & Painting; Mixed Media; Photography). LESLEY BURR (Drawing & Painting; Ceramics & Mosaic; Printmaking) added photography to her skills by taking this one. ALEX, MELANIE, MARGARET and LOUISE are joined by LESLEY for this happy photograph. 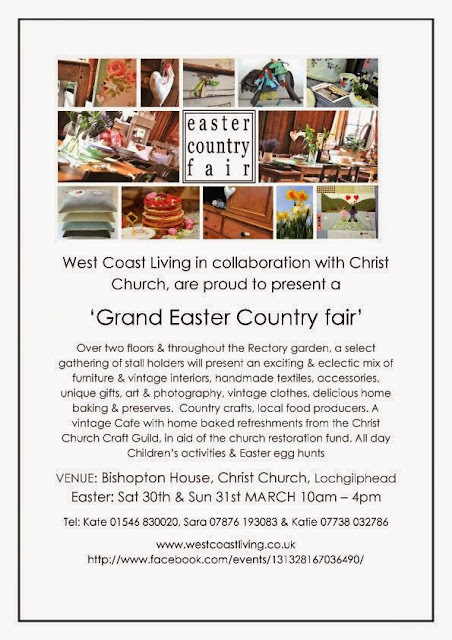 The exhibition is open 10.00am to 5.00pm Monday to Saturday, and from 1.00pm to 5.00pm on Sundays. It runs in Oban until the 29th June.